Since its discovery by Christopher Columbus in 1493, this isolated island of elemental beauty has enchanted seafarers, naturalists, and romantics. 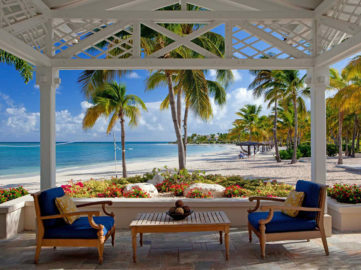 Today it is known as Jumby Bay (named after the Antiguan word jumbee, meaning playful spirit), a retreat of rarefied yet relaxed luxury that’s just a six-minute boat ride from the coast of Antigua and yet worlds away from the crowds of the Caribbean. It may be for its postcard-perfect beaches, lapped by clean, crystalline waters. Or for its rich biodiversity, including one of the world’s primary preserves for hawksbill sea turtles. Or for its intimate, private setting of 300 acres — with no cars, beach vendors or jet skis. 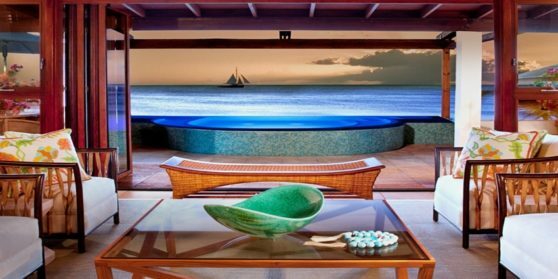 Whatever the draw, Jumby Bay is the stuff of dreams. With no hint of urban intrusions, and no indigenous population, this privately owned hideaway has remained largely unchanged for centuries. Nowadays, the entire island — which comprises of just 40 exquisitely appointed guest room and suites and a collection of villas and estate homes — may as well wear a “Do Not Disturb” sign. The resort’s 250 local staff return to the mainland every night, leaving just a sprinkling of staff, homeowners and guests.